Tell winter to shove it and throw on the OTW Thermal Cycling Jacket, a robust, cold weather cycling shell designed for the ugliest of riding conditions. Key features windproof, water-resistant Dolomiti and Hill 83 Matrix thermal Italian fabrics, reflective rear piping and a dual YKK zipper for easy venting on your next long climb. The OTW cycling outerwear collection is trim-fit and cut for performance. The Pro SS Jersey is fined-tuned for the cyclist seeking an athletic fit, performance jersey. Key features include lightweight, Italian M80 fabric, full flat-seam stitching, silicone waist gripper, and a raised 3-pocket back to carry race essentials. 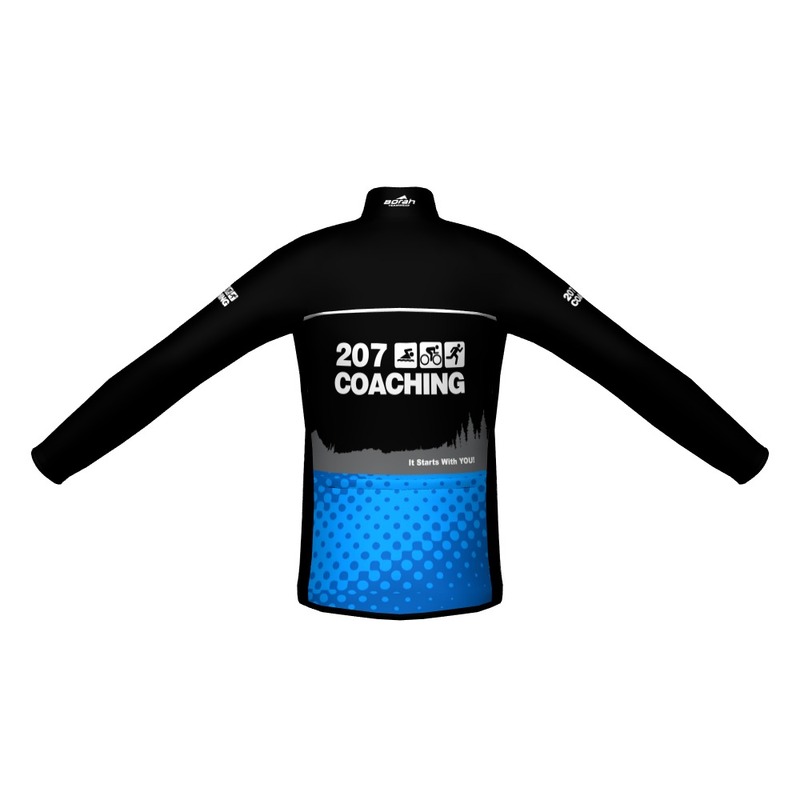 This custom cycling jersey is the premium choice for hundreds of teams and clubs each year. The Pro Cycling Bib is our most versatile custom cycling bib that pairs high performance and durability in perfect unison. Combined with the dual density, Fiandre Italian pad, compression leg Powerbands, and 11-panel design for enhanced fit, the bib is built for all-around riding. The Pro Bib and short collection is patterned with an athletic cut. When the temperatures drop, our Team LS Jersey is the ideal piece to layer on. Built from our soft, LS MicroPoly, you’ll find the lightweight thermal fabric provides protection and breathability for a range of cool weather conditions. Additional features include a sleek, Raglan sleeve design, full-hidden YKK zipper and 3-pocket back. The Women’s Pro Yogaband Short is pure cycling bliss. The elastic-free yoga waistband provides comfort and support matched with the dual density, Fiandre Italian pad for one smooth ride. Additional features include compression leg Powerbands, an 11-panel design for enhanced fit, and full flat-seam stitching to reduce chafing. The Pro Short collection is patterned with an athletic cut. Tight-fit, all-around triathlon race shimmel, featuring a full-hidden zipper front, mesh side panels for extra breathability and aero-engineered pattern. Tight-fit, all-around tri-race short, featuring compression leg powerbands, 11-panel design for enhanced fit and performance. Tight-fit, all-around triathlon race top, featuring a full-hidden zipper front, mesh side panels for extra breathability and aero-engineered pattern.